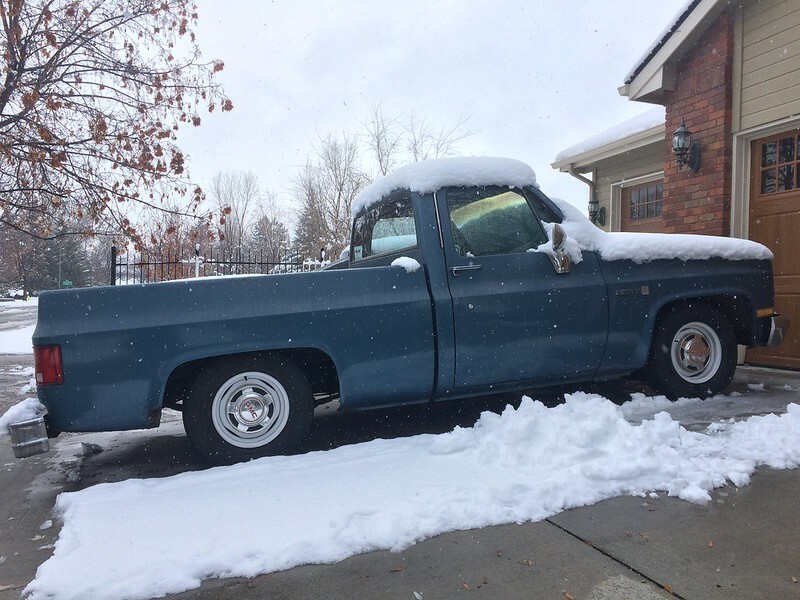 Here is my 1984 GMC diesel . 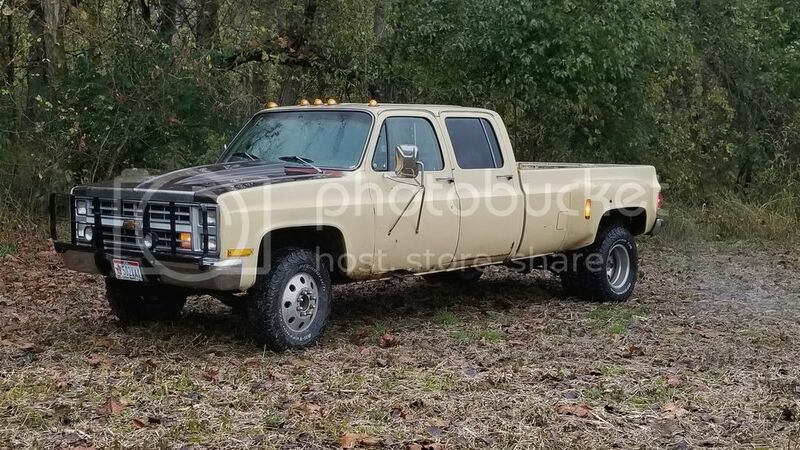 Bought this new in July of 1984 still my daily driver 480,000 miles, 4 spd on the floor and 4x4 no a/c . I have done the body a couple of times now but still runs very strong. Last edited by Ralph l; 01-20-2019 at 01:52 PM. I try to drive mine once a week. I love the simplicity and character. However, it runs and drives... like an old truck. It is noisy, and over-all, is a chore to drive. It desperately needs an engine swap. I doubt it will pass emissions when I have to get it checked in June. Meanwhile, this one has taken the back burner. There is a lot of little stuff I want to do to it, but I don't have the time or the space for the next few years. I love the simplicity of this truck... I wish I had the stock wheels for my ride. I have a set of rallys but, those look much better for the "original" look! Bump for some more daily drivers!!! Any more daily squares out there? my 81 k10 daily driver for the last 4 years. Every day. 18 miles to work, usually about 25 home to avoid traffic. 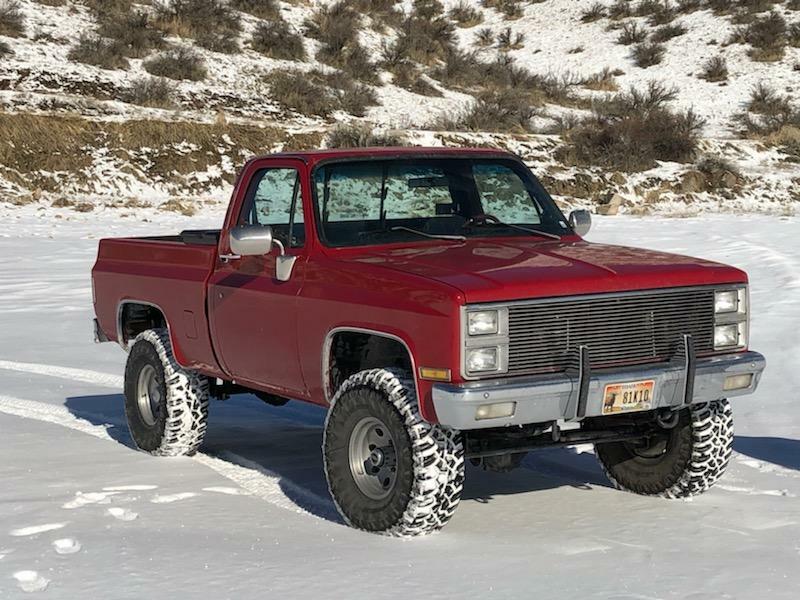 1985 C10, 2007 Vortec 4.8, 4L60E. I've been driving this one set up this way for four years.